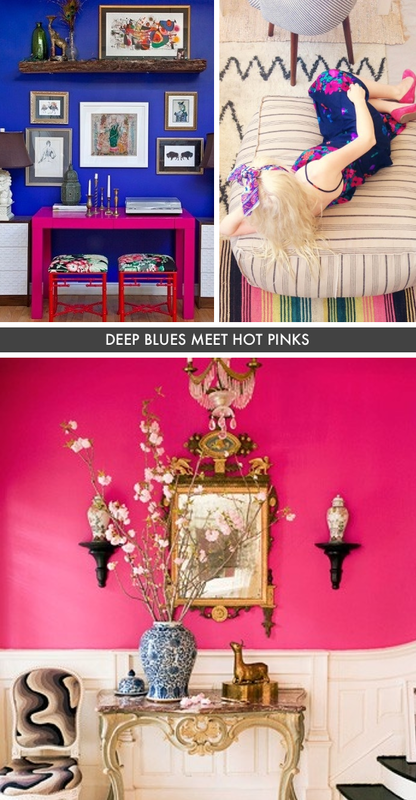 Vibrant blues and shades of hot pink are Stephanie’s current color crushes. 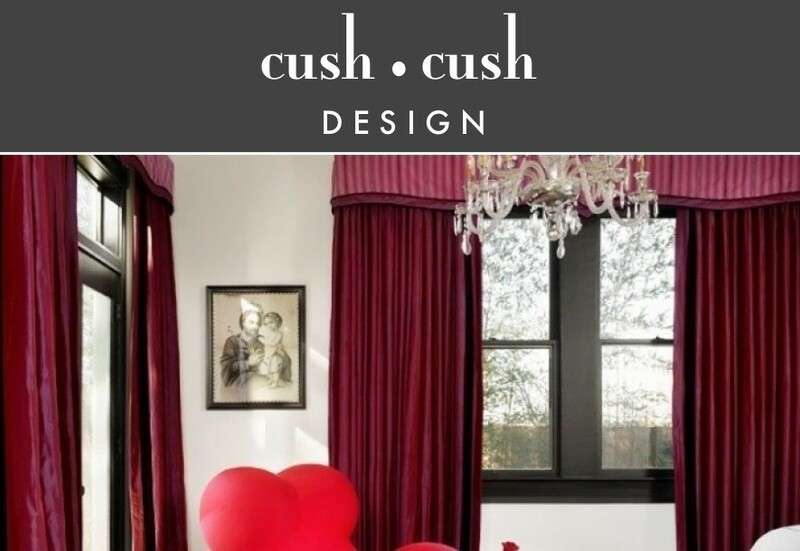 And when they live together—the contrasts between the hues create a wow moment in any space. The inspiration board above shows how these two colors demand your attention.